Private vs. public cloud infrastructure | Faction Inc. When it comes to hosting data and applications in an off-premises environment, cloud computing is often the answer. Companies from every industry are clamoring to take advantage of the benefits of cloud computing, and market predictions indicate that the cloud will enjoy strong adoption rates in the next few years. According to the RightScale 2015 State of the Cloud Survey, cloud adoption among enterprises will no doubt increase over the next few years, as there is plenty of room for expansion within the market still. In fact, 68 percent of enterprises run less than one-fifth of their portfolios in the cloud – meaning the cloud can still be used for far more than what it’s currently being tapped for. A question that sometimes comes up when IT budgets are discussed is what, exactly, are the differences between private and public cloud environments and why those differences are important. Let’s take a look at private versus public clouds and see how each option stacks up when it comes to enterprise cloud computing. Public vs. private: What are the options? Private – Research firm IDC predicted that spending on private cloud infrastructure will grow at a compound annual rate of around 16 percent in 2015, eventually reaching a total value of $12 billion. In all, expenditure surrounding the cloud will be up 21 percent to $32 billion, meaning that businesses from every end of the spectrum are entrusting more of their data and applications to outsourced private cloud vendors. The main benefits of private cloud include added security, availability and scalability, and among other uses, businesses are deploying these environments to store confidential personal and business-related data. Public – On the other hand, public clouds are seeing more utilization than private. The same IDC study reported that public cloud expenditure will increase by 25 percent in 2015 to $21 billion, indicating an even sharper increase in adoption for those seeking to increase their IT portfolios. According to Forbes, the main benefits of public cloud are standardization across platforms, capital preservation, inherent flexibility and faster deployment. 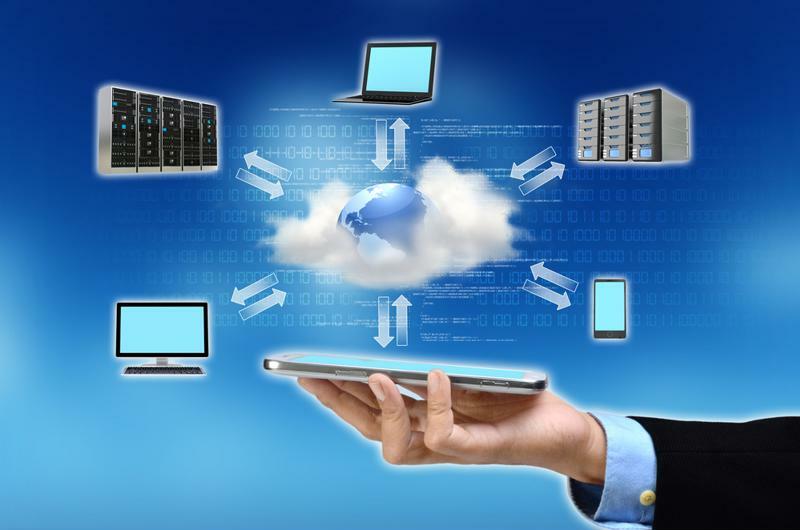 No matter which cloud you choose, your IT portfolio stands to gain flexibility and scalability. The infrastructure-as-a-service market is growing, fueled by enterprises’ desire for more flexibility, scalability and cost-saving benefits when it comes to their computing portfolios. Depending on what a company is planning to utilize their cloud environment to accomplish, private and public clouds offer different advantages, but the concept is essentially the same: When enterprises are ready to make the leap to cloud computing, they should invest in an IaaS cloud provider that has extensive experience with enterprise cloud and can offer the best management strategies for their specific computing and hosting needs.